A VERY IN-DEPTH, HOLISTIC, PSYCHIC READING. Readings are given at my Spiritual Centre in Poundbury, Dorchester, Dorset., in a quiet, relaxed atmosphere or by phone or Skype. For Skype readings, please send an invitation to Emma Dali Leverton at least 48hrs before your session. All sessions are treated with the utmost confidentiality. By learning about yourself you will be better equipped to deal with others and life’s challenges. An extremely personal, healing and holistic experience. As we are all different and individual, each consultation is as unique as you are. There are many, many reasons why clients visit for a Psychic Reading, maybe you are seeking an answer, looking for guidance, have reached a crossroads, simply desire to know what the future might hold etc.etc.etc. Whatever your reason for booking, I am sure, like others before you, you will find it a very relaxing, reassuring, motivating and enlightening experience. The session will be tailored to your own needs, looking at the past, present and future and looking at each area of your life – health, wealth, love, career, finances, family, friends, home etc. etc. More emphasis will be placed on your most pressing anxieties and of course you can ask for clarification throughout your reading. I will have already attuned to you prior to your reading , I may have been given a piece of music for you and will certainly have been told by Spirit what is currently going on in your life and the areas that most need addressing; we will however look at all areas of your life. I connect directly with Spirit and work Psychically at all times, passing on all messages as they are given to me, I may also bring messages from a loved one who has passed, if you desire and if they wish to come through. Spirit will direct me as to what you need and so I may also use a variety of divination cards including Tarot, Angel Cards, Affirmation and Spirit message cards and Spirit Animal totems. Possibly I will look at Palmistry, Crystals, Pendulum, Psychometry, Cord Cutting, your Aura and Energies, Sleep Patterns and reoccurring Dreams etc. and will look at you Astrologically and from a numerology point of view. You may of course choose one of the divination tools if you have a strong preference and this is fine too. As we are all different and individual, each consultation is as unique as you are. Please feel free to ask questions at any point. Each session will finish with a summary and affirmations. 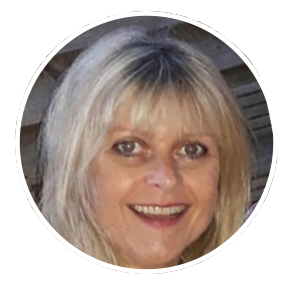 As a qualified Psychic Counsellor, Medium and born Empath, I use Psychic Guidance with Spiritual Healing throughout my readings. Due to the very nature of how I work, sessions can be pure Counselling should you prefer. Having had many years of experience working with young people, I am more than happy to see younger people (14yrs and over) however, anyone attending under the age of 18 must be accompanied by an adult. Readings are strictly on a one to one basis unless the client needs support for health reasons.